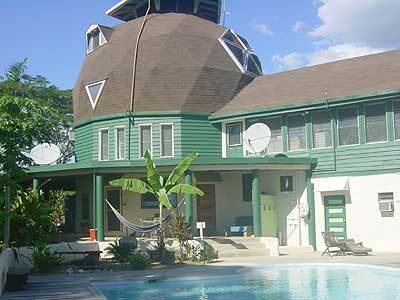 The Belize Jungle Dome is Pleased to Announce its 2005 Schedule of Adventure Packages and Day Trips. Former UK Soccer player Andy Hunt offers an Adventure Vacation of a lifetime from the Belize Jungle Dome. Discover the Tropical Islands and Rainforest of Belize including Exploring Ancient Mayan Temples, Caving and Cave Tubing, Jungle Horseback Riding, Kayaking, Scuba Diving, Snorkeling and Swimming with Sharks. The Belize Jungle Dome, a unique Jungle Lodge in Belize, Central America is just a 2 hour flight from the USA. Offering Adventure Vacations and Day Trips for Families, Groups and Individuals. Travel Belize and become an explorer of the ancient and sacred Mayan Temples, adventurer as you climb inside the Cave systems of Belize, fun lover on the Tropical Islands and daredevil when you swim with sharks. http://www.greendragonbelize.com/belizefamilyvacation.html. Click to view Family Adventure Vacations. http://www.greendragonbelize.com/belizevacation.html. 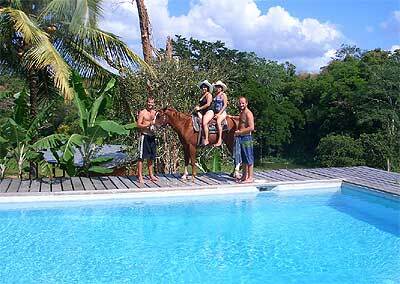 Click to view Belize Vacation Packages. Adventure VacationsHorseback Riding Vacations at the Belize Jungle Dome Belize Jungle DomeBelize Jungle Dome - Jungle Lodge in the heart of Belize Blue HoleScuba Diving Adventures at the Blue Hole - Belize famous Dive Spot Swimming Pool at DuskPool-Side Rooms with stunning views of the Belize Jungle Dome Landscaped Gardens and surrounding Jungle.